WHEN: Saturday, January 21, 2017, meet at 10:00. Return around 2:00. LEVEL: Moderate to strenuous, depending on fitness level. 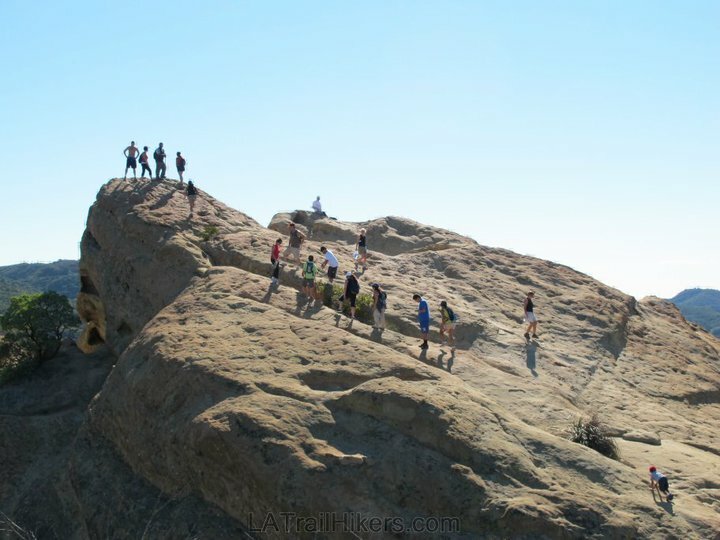 Join fellow alumni on this hike up to "the other" Eagle Rock, which stands 1,957 feet above sea level. Take in the sandstone cliffs, beautiful rock formations, and stunning panoramic views of the Pacific and Santa Ynez Canyon. Bring a lunch for a stop along the way, and two liters of water. Trail shoes or boots recommended. Rain cancels. Parking is limited, so carpooling is recommended. Santa Monica carpool will meet at 9:15 on Nebraska Ave. just west of Centinela Ave. in Santa Monica.